The Millennial Home Buyers Are Out There. What Do They Want? The “generation Y” or the “Millennials” were born between the years of 1977 and 1995 and have taken the spotlight in real estate news lately. They are skeptical when deciding to buy a home. They are the generation that saw their parents, relatives, etc. lose a home in the recession of the 2000s. The Millennials are thinking twice before buying to make sure the decision is right. They analyze and make informed decisions about everything they buy because the internet makes the process easy to do so. What do they want in their new home? Updated Bathrooms: Most of their savings will be used for the down payment and furniture. They don’t want to update bathrooms, which can be expensive. If your bathrooms need some love, ask an experienced Realtor what the current design trends are. Large Open Kitchens: Millennials aren’t looking for dining rooms as the kitchen is the place where their friends and family end up congregating. They see the kitchen as generations of past viewed a living room. It’s important the kitchen is stylish and updated with integrated appliances and gorgeous designs. Smart Home: The Millennials were brought up in the world of technology and are willing to pay more for homes that have smart home features. They want to know the home has wireless service and internet and cable and telephone are not priorities. There have been cases that a home was dismissed because the signal to their mobile phone was weak. Home Office: Many Millennials don’t travel back and forth to an office for work. They work from the comfort of their home. A Realtor will help you dedicate a room to be shown as a workspace/home office. Staged right, a Millennial will be able to envision themselves in it. Location: Proximity to public transportation, easy access to major metropolitan areas, walking distance to restaurants, schools, etc. They want their home to be in a location where homes are affordable and jobs are plentiful. They don’t want to deal with long commutes or traffic issues. Community: Besides the location, the importance of community is at the top of the list. Millennials want to be involved in their neighborhood. Seventy-five percent of responders to a Fannie Mae survey said that feeling engaged in their community was their main reason for wanting to own a home. 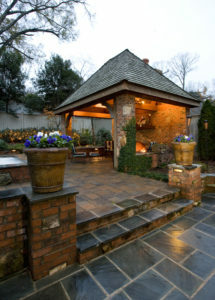 Outdoor Living Space: Entertaining outside is just as important as inside to the Millennials. They will pay more for a home that has an exceptional outdoor space that features a patio, an outdoor kitchen, or a grand deck. The Bottom Line: Millennials don’t want to buy a fixer-upper. The first step to attract them as buyers is to have a Realtor showcase the home for sale with beautiful professional photos online – the first place they will look. It’s also important to have the most skilled Realtor who understands what Millennials are looking for and will be able to highlight them to increase the chances of a quick and profitable home sale.